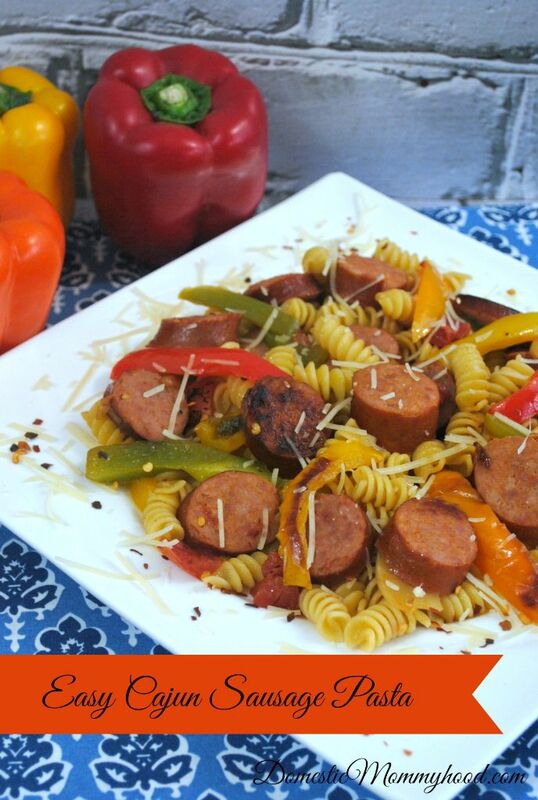 Easy Cajun Sausage Pasta Meal Ready in under 20 Minutes! Ever since I began working outside of the home again I have been looking for easy 20 minutesmeals recipes that will give me time to prepare dinner, eat with my family, give the kids a bath and get them into bed by 7:30. Here is one of my favorite 20 minute meals recipe that has quickly become a favorite in my household. This easy Cajun Sausage Pasta Meal can be ready in under 20 minutes if you prep your veggies the night before or better yet cut them up on the weekend when you have more time. Remember that you can scroll down to the bottom of the post and find a printable version for your convenience. 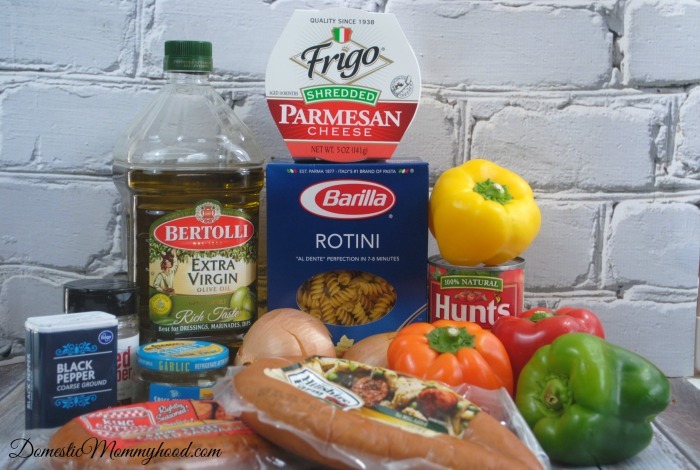 -While pasta is cooking, heat the olive oil over medium-high heat in a large pan. Do prep work in advance to help save time while preparing. 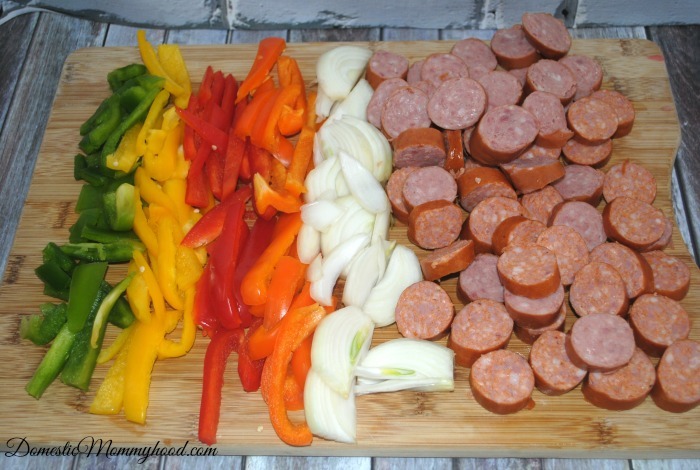 -Add the onion, garlic, peppers, and sausage. -Cook for about 7 minutes, stirring occasionally. -Pour the pasta into a large serving bowl. -Stir in the onions, peppers, and sausage. While pasta is cooking, heat the olive oil over medium-high heat in a large pan. Add the onion, garlic, peppers, and sausage. Cook for about 7 minutes, stirring occasionally. Pour the pasta into a large serving bowl. Stir in the onions, peppers, and sausage. This recipe just sounds perfect! And it’s so colorfully delicious looking! Can’t wait to try it. You got me with “easy!” but it sounds delish! Thanks so much for linking this up at Best of the Weekend! Yum!! I love anything that has pasta and sausage! But easy and ready in 20 minutes makes it even better! !